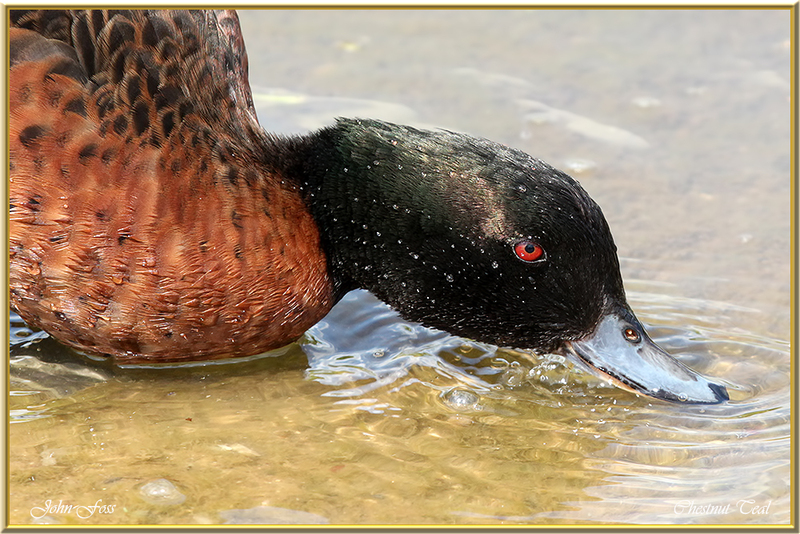 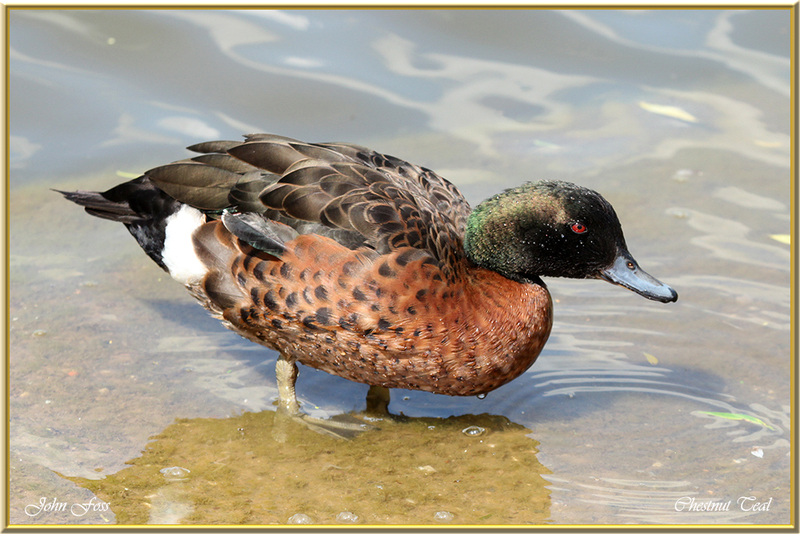 Chestnut Teal - A dabbling duck native to Australia. 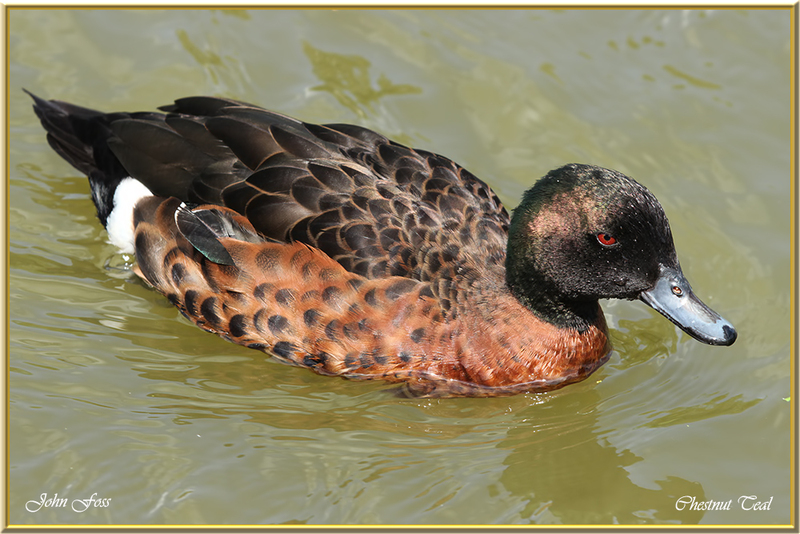 It is an omnivore so is quite happy to feed on animal or vegetation. 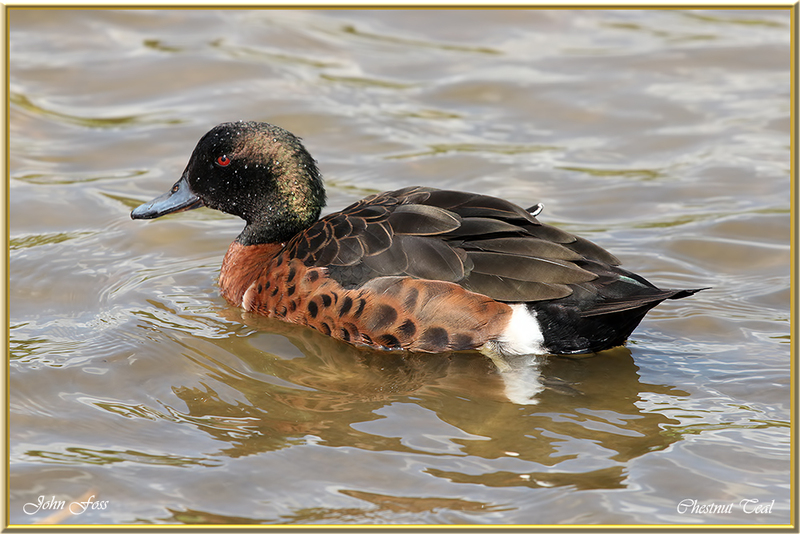 It is protected under the National Parks and Wildlife Act. 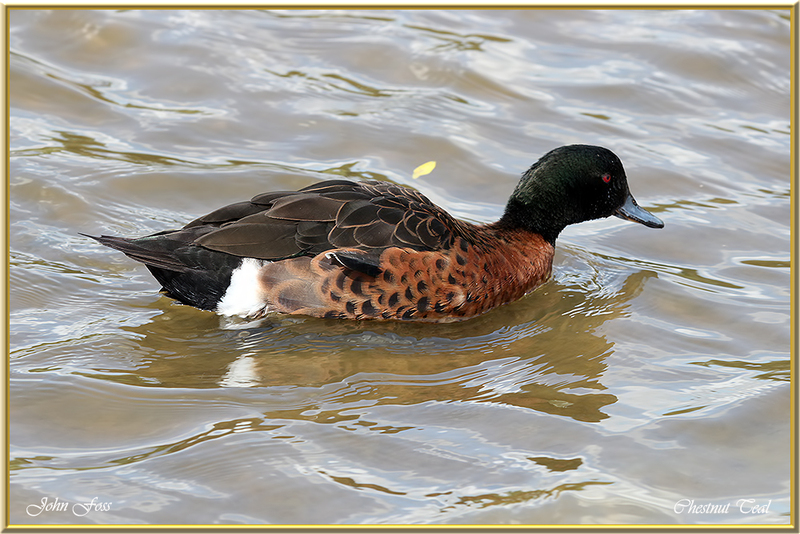 This bird was photographed at a Staffordshire reserve in England.